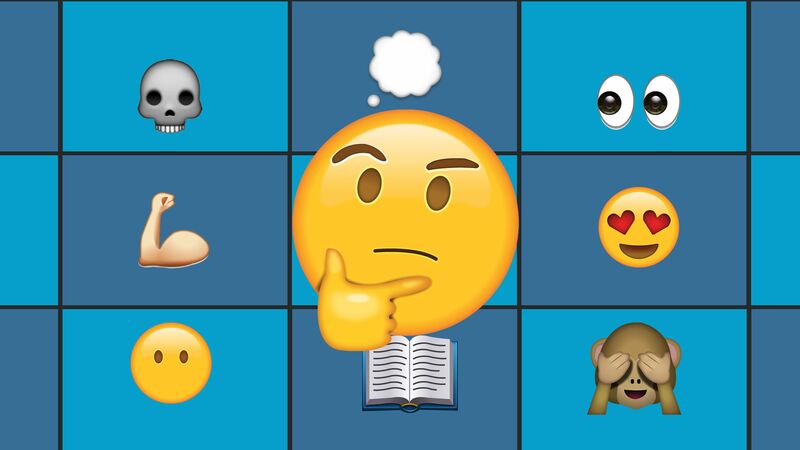 Use kids’ expertise with emojis to help them analyze texts more effectively. Emojis are more mainstream than ever. The Oxford English Dictionary named the Face With Tears of Joy emoji the word of the year for 2015, presidential candidates are asking for feedback in emojis, and the appearance of new emojis is considered news by major media outlets. Although looking up emoji definitions is relatively simple, I often turn to my students for more nuanced explanations. After a bit of laughter, my students patiently demonstrate the multiple uses for a single emoji, help me decode emoji-laden Instagram comments, and advise me on murky racial or gender implications. Internet-inspired trends may not seem important next to English 101’s selected texts, but the way students seamlessly navigate emoji usage is similar to critical reading skills we practice in class. I’m not about to throw out traditional texts, but emojis offer an engaging opportunity to transfer digital skills to a written context. First, ask students to analyze examples of the same emoji being used in different ways. Like words, one emoji can carry multiple meanings depending on the context. Most students naturally use context clues to determine which emoji meaning is intended by the writer. Students must consider photo, text, and emoji together to determine if the silent face emoji means the writer is communicating speechlessness at the news of a horrible event or a lack of power in the face of authority. As with decoding vocabulary, understanding emojis requires context. I like to start with a few popular emoji choices like the monkey with hands over eyes, the skull, or the flexed muscle, but it’s also fun to use newer emojis. Students can bring screenshots from their own social media feeds, but celebrity posts work great as well. Next, have students create social media guides for new emoji users. For each emoji, have students list the various meanings, offer examples, and explain how to determine which meaning is intended. A student might analyze how the two eyes emoji can indicate confusion about the message (“Wait, what are you saying?”), an impatience with a slow response (“Hurry up and reply!”), or a signal that the information is something they haven’t heard before. Finally, challenge students to write generic directions for emoji comprehension. The goal is that a novice should be able to pick up these directions and apply them to a new set of emojis. The task is surprisingly difficult. When students apply their directions to a new set of emoji examples in order to check their work, they often retool their approach. It may take a bit of struggle to define the thinking behind their approach, but ultimately, emoji-decoding directions mirror some of the best lesson plans for teaching context clues in the language arts classroom. Teachers don’t need to be emoji experts to use them in the classroom. After all, emoji use is constantly evolving, so it’s almost impossible to know every emoji. My students almost always know more about emoji use than I do, but that knowledge gap offers real opportunities. My questions are genuine. I can press at the edges of explanations and spot inconsistencies. When students explain how an emoji’s context impacts the meaning, I’m listening to learn. Emojis also add a refreshing bit of fun to the classroom mix. Students relish their momentary expertise in the classroom, and teachers can embrace what may seem a bit foreign. Plus, who doesn’t love to see their teacher clunking out a few emojis every now and again? I have even overheard hallway conversations that attempted to decode the difficulty of homework based on the Face With Heart Eyes emoji that I added to the assignment. Welcoming emojis into the classroom is one way to use student experience to develop school skills. Rather than detract from learning goals, our students’ rich social media lives can contribute to deeper learning. By connecting to skills our students already use online, perhaps we can make school seem even more relevant.